Log cabin rentals are one of the best ways to take a vacation. Not only do you have all the comforts of home, you get to spend time in a rustic, scenic log home setting in a beautiful natural location. Plus, there are log cabins for rent in nearly every area of the country, so you don’t have to limit your fun to your time in the cabin. Whether you’re looking for a pet-friendly log home rental in Gatlinburg, TN or a romantic honeymoon cabin rental; whether you want to cozy up to a crackling fire on a snowy night in Vermont or roam the mountain trails while staying in a log cabin in Wyoming;whether you are after whitewater thrills or mountain biking in the Smoky Mountains, there is a log cabin waiting for you to rent now. You can have an active workout on your vacation with a full schedule of rugged extreme sports, or a relaxed get-away with every meal out and nothing more on your to-do list than reading books. You can stay just overnight as you pass through; book a couple of nights for a romantic weekend; make a week-long visit for the family vacation, or pursue a longer in-depth exploration of an area. Log home rentals are easy to arrange and add that extra element of adventure and history. Maybe you’re interested in building your own log home but aren’t sure about what size to build, what log styles are available to use, the design of your log home, even details like a wood-burning vs. propane fireplace. Is wide-plank flooring durable enough for an entryway? What is the best landscaping for log homes? Renting a log cabin is the perfect way to “try before you buy.” It gives you a chance to check out some ideas, see what other people are doing and snoop around somebody else's log home before you finalize your own plans. Airbnb is a great resource to check for cabin rentals in different areas of the country. You can set the filters to various prices and number of people and check out all the details with great pictures. If you sign up for a rental using the Log Cabin Connection Airbnb link you get $30 credit, and LCC gets $30 credit. 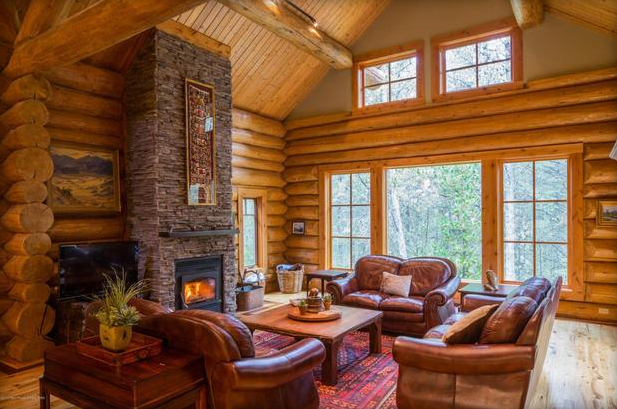 If you have a log home that you don't use full-time, you should consider earning some income to cover expenses with cabin vacation rentals. You can recoup some of your investment by renting your cabin to other vacationers. An investment log cabin can offer a solid return on investment. Airbnb is also a great resource to check for cabin rental rates and to scope out what amenities are offered by other log home vacation rentals. If you sign up as a host using the Log Cabin Connection Airbnb link you get $30 credit, and LCC gets $75 credit. Do your homework. Read the listing carefully to see what is included and what is not. If you want specific amenities like a hot tub, pool table or satellite TV, be sure and check that they are available and if there is an extra charge for them. For example, some log cabin rentals have wood-burning fireplaces and some may have only gas-log fireplaces. Babies, children, the elderly and access. Many log cabin rentals are in remote areas and in rough terrain. They may have porches and decks built out over steep hills that are fantastic for long-range sunsets but worrisome for toddlers. Ask about access, kid-friendly hot tubs, stairways, etc. Get your deposit in on time. You expect them to uphold their end of the bargain so you need to uphold yours. If you delay you may simply miss out on your time. This is how renters know you’re serious about renting. Get it in writing. Be sure to get everything in writing and not just casually mentioned over the telephone. If they agree to let you check in early, for example, you need to have something to show the cleaners or rental agents when you arrive. Pets. Check if the rental accepts pets or if they charge extra for cleaning. If you have allergies you may want to book a no-pets rental. Get trip insurance and know your cancellation policy. You never know when something could happen, whether illness, a weather delay or change in travel plans and you don’t want this to spoil your plans. Safety concerns? Some people are thrilled to be alone in the woods, others are nervous if they’re out of sight of another cabin. Ask if cell phone service is available (often a problem in remote wooded or mountainous regions) or if medical service is nearby. Reserve as long in advance as possible. Log cabin rentals often book up early, especially in the most popular places so make your plans and reserve early. 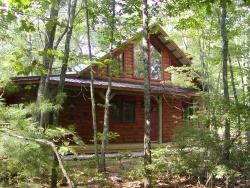 Log cabin rentals are a great way to add some adventure to your vacation without sacrificing any of the modern comforts.